Have you ever been playing the board game Monopoly and purchased the Reading Railroad? 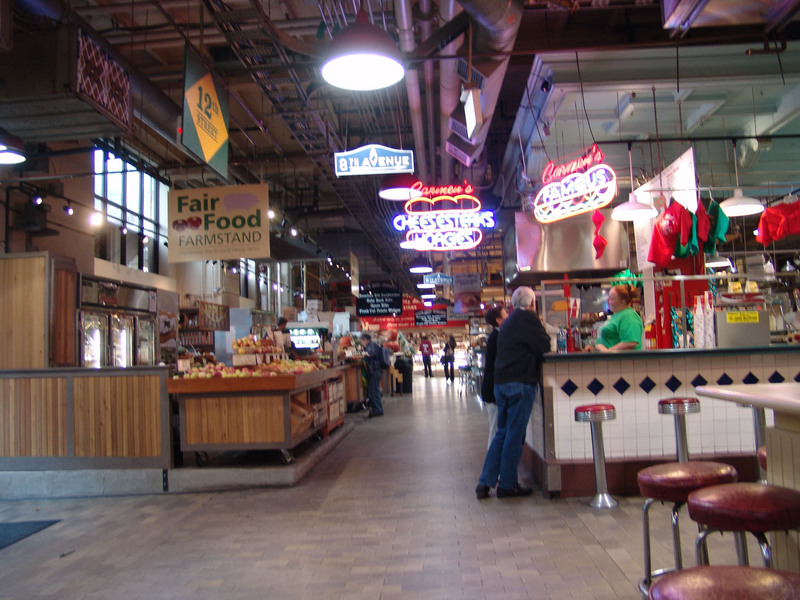 The Reading Terminal Market is much different than a traditional farmer’s market. What has kept people coming back to the Reading Market for over 120 years? Well, in the mid-1800’s outdoor markets were so plentiful they stretched for more than a mile in downtown Philly. 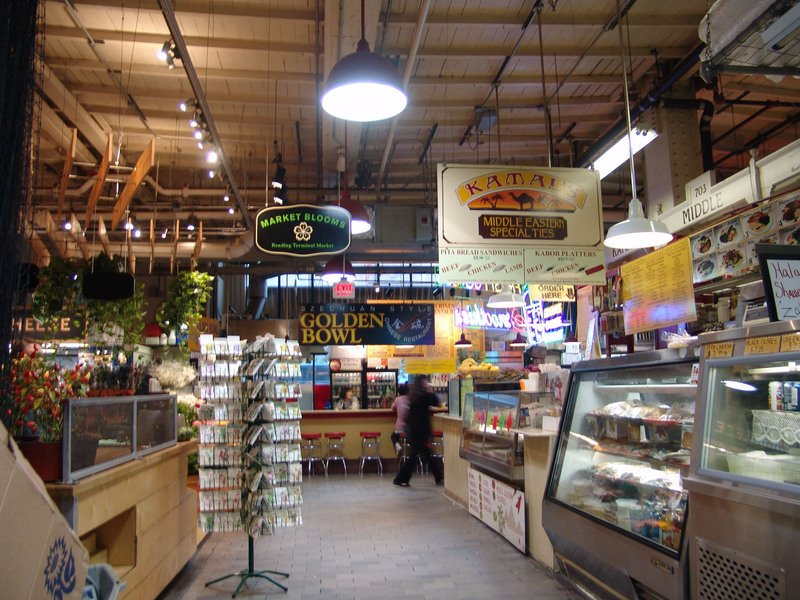 In the late 1880’s something changed in the public’s eye and the people of Philly began favoring indoor markets instead. Against odds, two of these indoor markets, Farmer’s Market and Franklin Market, eventually combined to form the market we know today. The Reading Railroad wanted to build a new station in the heart of Philadelphia and the market looked like a great place to build. With its popularity, the railroad wanted to build beside the current market. The problem was, there wasn’t enough room. In 1891 they went ahead with the plant to build next door except they placed the train shed directly above the market. Trains had to travel uphill on raised tracks for maintenance and to access the shed area. As a transportation hub and market combined, business boomed for over 40 years. Then came the invention of the American supermarket. To adapt, the vendors found success taking phone orders and shipping all over the US. Even the Great Depression and World War II didn’t stifle business. In fact, they claim the height of the market was during the Depression. It wasn’t until people started moving to the suburbs that the Market started to falter. In 1971 Reading Railroad went belly-up and sold its railroad division. For a decade they tried to think of ways to get rid of the train house and market building. The railroad terminal was remodeled as a light rail hub and business once again skyrocketed. Today the market is opened 7 days a week and roughly 18 hours a day (check website for weekend hours). The market is busiest from Wednesday to Saturday. There’s one more reason the market has stayed opened for 120+ years. The food. With over 100 booths (most sell food) the variety of delicious delights is amazing. From Dutch to authentic Greek and Italian each trip is an adventure in flavor. You can enjoy a meal, an ice cream, a snack or pick up supplies for dinner at home. In the center of the market is an area with tables. It’s fun to people watch as you enjoy your sweet and savory. As a side note, the market once held an amazing engineering marvel. In the 1890’s a large refrigerator/freezer was built in the Market’s basement. It was so large there were multiple rooms which could be set at different temperatures. It was used by businesses all around the city. This large system remained in service for about 70 years. The market has restrooms and the food and market prices are very affordable. 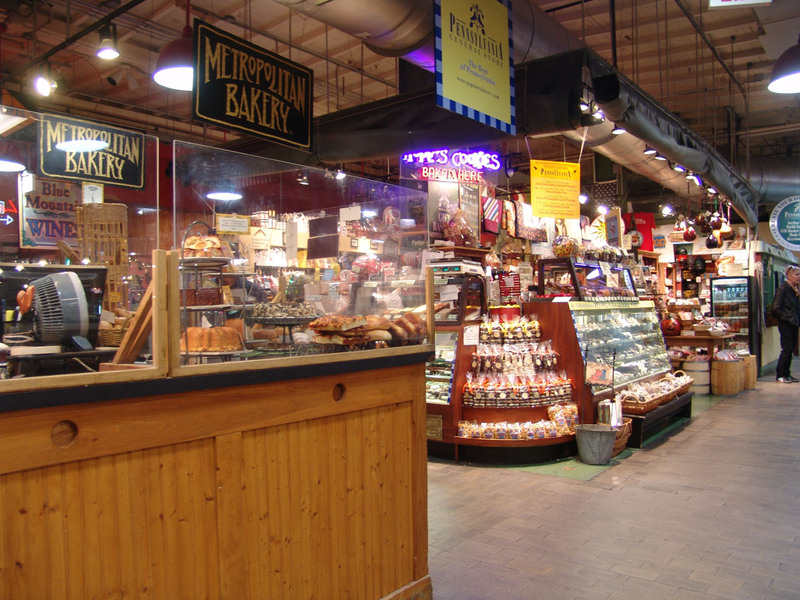 Once, while staying in downtown Philly for several weeks, ate at the market almost each day. 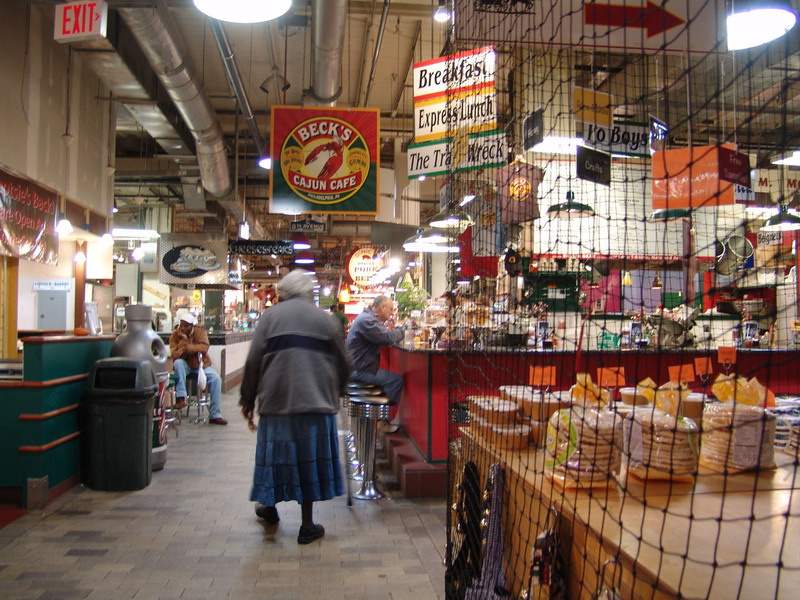 I will never forget the variety and the excitement of the Reading Terminal Market.